Aluminium profile 27-5mm x 27-5mm - 1m- The four coaxial slots will give you the ultimate stability. Discount available! 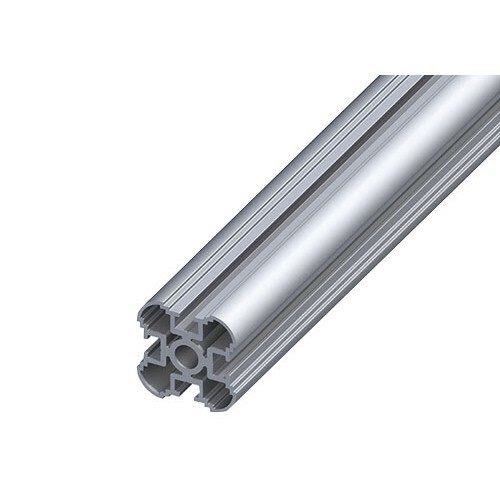 Recommend Aluminium profile 27,5mm x 27,5mm - 1m to your friends and get your Discount. The four coaxial slots will give you the ultimate stability. The alignment grooves in all four coaxial slots help you to drill accurately. The core hole is suitable for an M6 thread and at the same time acts as a through hole for M5. This profile is the same used to make the most hackable 3D printer 3Drag.